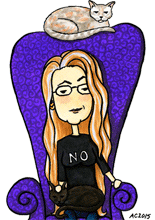 Today I’ve got another of HP Lovecraft’s creations, made into a creepy-adorable weeble. Dagon has his very own eponymous short story, but he also is alluded to in “Shadows Over Innsmouth,” the short story from which I illustrated a fishy Deep One earlier in the year. Lovecraft had a real horror of all things fishy and oceanic, and it shows in the tentacled, scaley (and often quite overblown) descriptions he gave in his stories. I’ve tried to mix the macabre with the cute in my depictions, and I’ve had a lot of fun choosing which creature to cartoon next. I’ll be adding him to my series of Lovecraftian Greeting Cards on Etsy as well, which are perfect for this spooky season. 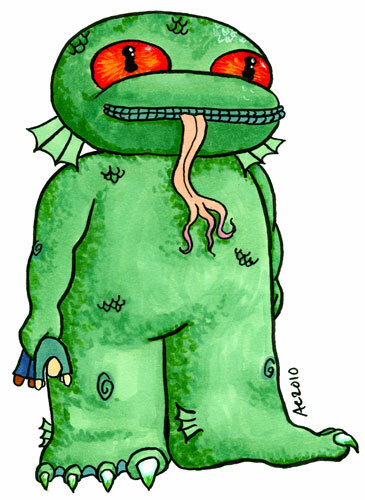 Weeble Dagon, 5″x7″ pen, ink and copic marker on watercolor paper. OMG, he’s holding a tiny little corpse like a toddler holds a ragdoll or his blankie. Is it wrong that I find that really amusing?